A crown is a full-coverage "cap" that fits over your tooth protecting it from breakage. The crowns we deliver at PDA contain absolutely no dark metal, so gone are the days of the grey or black line at the gum line you may have noticed on others. Through the collaboration of our dentists and master lab ceramists, crowns are designed and made to look identical to a perfect tooth and are custom matched to the patient's specific tooth color and shape. Crowns are not only indicated when a back molar breaks. If you are wanting dental veneers but your teeth are not in pristine condition, whether from old fillings or wear, then full coverage crowns can be made. 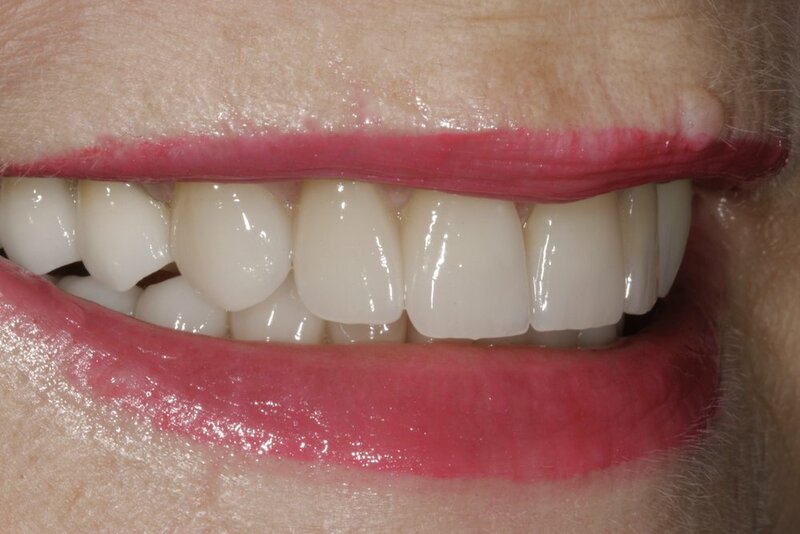 These crowns look exactly like veneers from the front AND they protect your whole tooth at the same time!